When I hear a low vocal fry talking about particularly creepy subjects, with the bonus of creepy background music and sound effects, the first thought that comes to mind is that I’m watching a documentary probably about a serial killer. In this case, I was watching the YouTube documentary The Mind of Jake Paul. It’s not about a serial killer, but the eight-part series still has many moments of skin-crawling, disgust-inducing scenes. The first few parts cover Shane Dawson’s understanding of what a sociopath is, gaining insight into who Paul is on social media, and understanding Paul’s family. As anyone—especially Sigmund Freud—would say, your childhood is a huge part of what makes you who you are today. As the series goes on, Dawson posits that Paul is not a sociopath, but that he thinks the father, Greg Paul, is one. Throughout the documentary, Dawson interviews Nick Crompton, an ex-business partner and ex-best friend of Paul’s. In the fourth part of the series, Crompton debunks the notion that Paul is a sociopath. Dawson later interviews Paul’s girlfriend, Erika Costell, who discusses her relationship with Paul along with other aspects around his personal life—including his brother Logan and his father. Costell discusses the negative effects that Paul’s father has on Paul and their business. We learn that Paul has feelings, too, and begrudgingly accept that Paul is possibly an okay guy. Paul has been involved in countless scandals—one of them being allegations of emotional abuse from Alissa Violet, his ex-girlfriend. Violet tells her truth to Dawson in order to just put it out there and move on, which is something Dawson insistently advises her to do. The finale is a whopping hour and 45 minutes long, featuring a sit-down talk in a quiet room with just Dawson and Paul laying it all out on the table. Paul speaks his truth on all his scandals. We see Paul and Dawson trying very hard to keep from crying. Their voices shake as they have an emotional conversation about the traumas of their lives. A large issue for Paul is coping with the trauma of his ex-girlfriend Violet sleeping with his brother, Logan, behind Paul’s back while he, too, was in an on and off again relationship with Violet. The first three episodes are very overdramatic, topped off with horror movie music to add to the atmosphere. Many people don’t seem to understand why these parts were even in the documentary, considering Dawson’s conclusion that Paul is not a sociopath. However, I believe many people misinterpret what Dawson’s main point is. Dawson implies that while in his opinion Jake Paul may not be a sociopath, his brother might be. The Mind of Jake Paul suggests that Paul having “sociopaths” around him growing up means that he was always in a place where he had to act like them—therefore mimicking their behaviour. The first three parts of the documentary were essential not because Dawson believes Jake Paul is a sociopath, but so we can use the framework and definitions given to us by Dawson to determine on our own that, hey, what if Logan and Greg Paul are the real sociopaths? 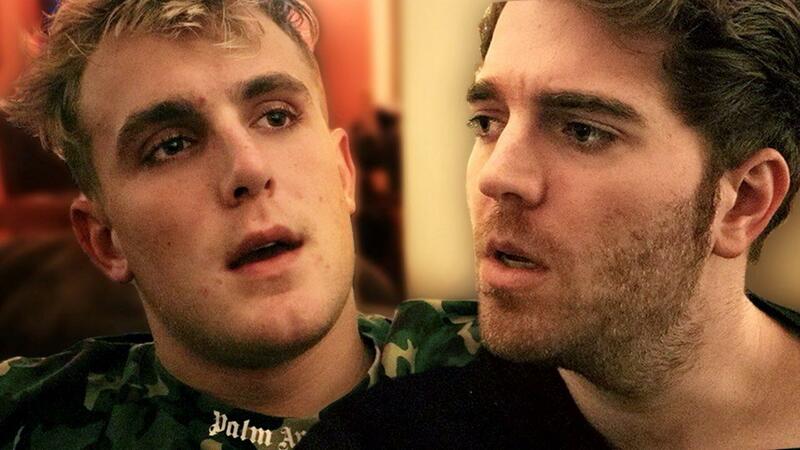 Understanding this is a major stepping stone toward understanding the mind of Jake Paul as Dawson sees it. The documentary is amazing, a solid 5/5, and I highly recommend watching it (the nine hours go by fast, I promise). I do think content created with this much passion is rare to find. Content that makes you think so deeply about yourself and your perception of the world is always beneficial in learning and growing as a person.